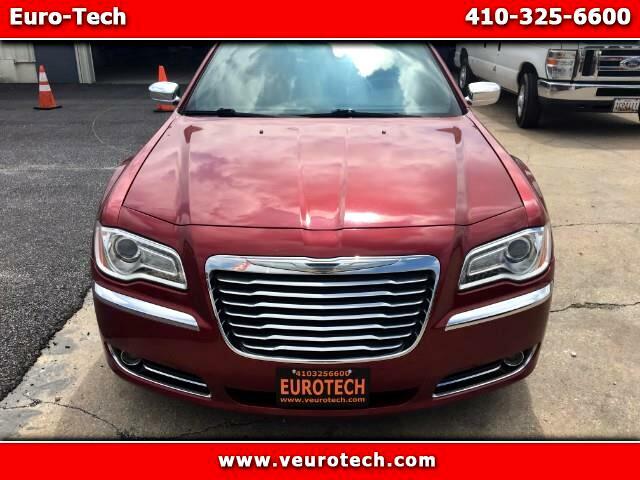 If you love the driving performance provided by a rear-drive sedan, yet you also need room for five people, great fuel economy and a sophisticated set of electronic information and entertainment systems, the 2013 Chrysler 300 should prove most satisfying. Standard equipment includes keyless entry and start, a big 8.4-inch touchscreen with climate and music controls, Bluetooth phone and streaming audio, USB/iPod/SD card connectivity, dual-zone automatic climate control, leather seating, a 12-way power driver's seat with 4-way power lumbar support, tilt/telescopic steering wheel, cruise control, heated front seats, 17-inch painted aluminum wheels, one-touch up/down windows all around and a full complement of active and passive safety features including side-curtain airbags, driver's-knee airbag, hill-start assist and electronic stability control. In addition to the 363-horsepower V8 engine, all-wheel drive and navigation system a 2013 Chrysler 300C AWD loaded with all the options.